HCMC Executive Committee of Communist Youth Union held a ceremony marking the 87th founding anniversary of the youth union (March 26) and awarding Ho Hao Hon Prize 2018 yesterday. Attending at the event were Secretary of the Ho Chi Minh City Party Committee Nguyen Thien Nhan, Former Vice President Truong My Hoa, former Vice Secretary of the HCMC Party Committee Nguyen Van Dua, Vice Secretary of the HCMC Party Committee Vo thi Dung, head of the Ho Chi Minh City Party Committee's Commission for Propaganda and Education Than Thi Thu, head of the HCMC Party Committee's Public Relations Nguyen Thi Le, Chairwoman of Vietnam Fatherland Front Committee in Ho Chi Minh City To Thi Bich Chau and more than 4,000 youths. 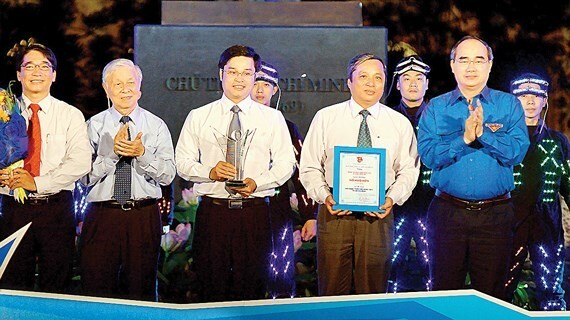 The organizer presented Ho Hao Hon Awards 2018 to six youth works, including the “Creative Youth” program by the Center for Science and Technology Development for Youth in HCM City; “Days of Youth”program by the HCM Communist Youth Union of District 1; the La Trung Quan (Trung Quan leaves – Ancistrocladus tectorius) camping by the HCMC’s Communist Party, Civil society, State administration; the model of “Safety and savings electrical system in alleys” by the HCM Communist Youth Union of Ho Chi Minh City Electric Power Trading Investment Corporation; “Free installation of water clocks for poor households in HCMC” program by the Ho Chi Minh City Water Supply Corporation; and the Student’s Science Research Club of the Ho Chi Minh City University of Natural Sciences. 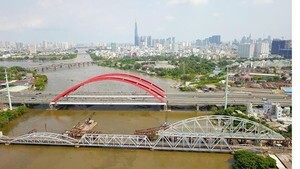 Various activities have been held throughout the city to celebrate the 87th anniversary of the establishment of the Ho Chi Minh Communist Youth Union (HCMCYU), which falls on March 26, such as providing training activities on fire fighting and rescue, blood donation, giving free electrical repair services for 500 poor and policy households, organizing food fairs, Traffic Safety and Startup festivals, enrolling new members of the Youth Communist Unions in districts, departments and schools.